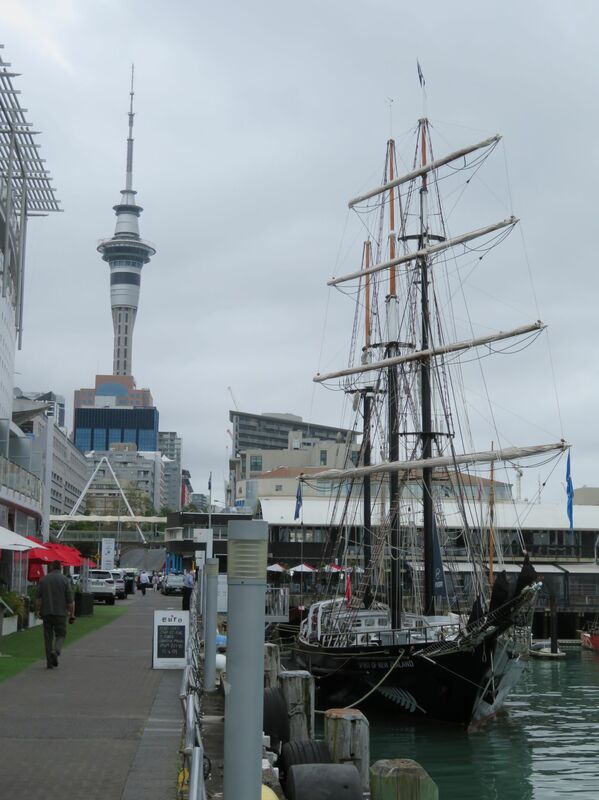 Before coming to New Zealand, we looked forward to seeing jade being worked, and shopping for a jade pendant or two. After arriving, we began to find out a bit more about jade and jade carving that did not make our search easier. Jonathan and I are well-trained researchers, and we like to know about things. We wanted to know what New Zealand jade really is, mineralogically, where it comes from and how it is carved. We barely got past the first question because there are too many answers. On the right is an unpolished boulder (chipped to show jade interior). On the left is a polished jade boulder. Jade is composed of silica and other minerals and is best known as a translucent green stone. (That is what I think of.) We also found that jade can be hard or soft, and occurs in all shades of green, lavender, blue, red, and black. There are so many varieties that what a carving is made of becomes impossible to determine without spectroscopy. 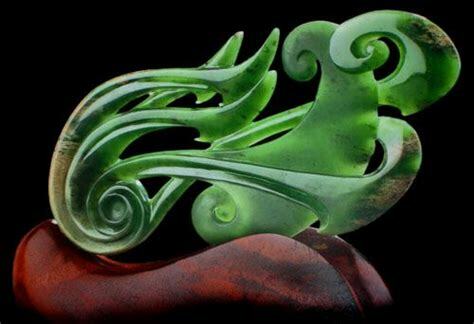 In New Zealand, jade is known from the earliest arrival of Europeans who observed the Maori people wearing carved jade pieces. 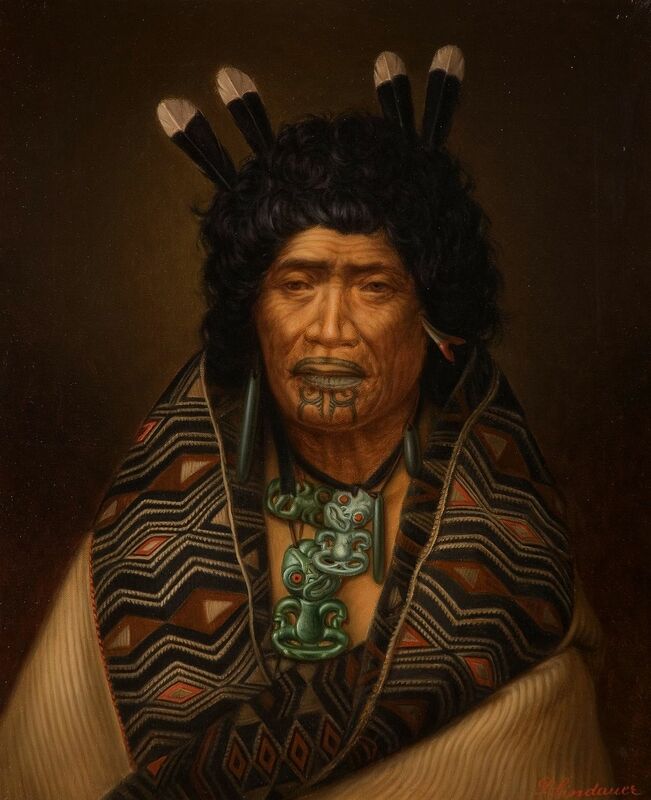 In this portrait of Rangi Topeora, one of the few women leaders to sign the Treaty of Waitangi, you can see carved jade objects in two shapes, cylinders and hei-tiki. 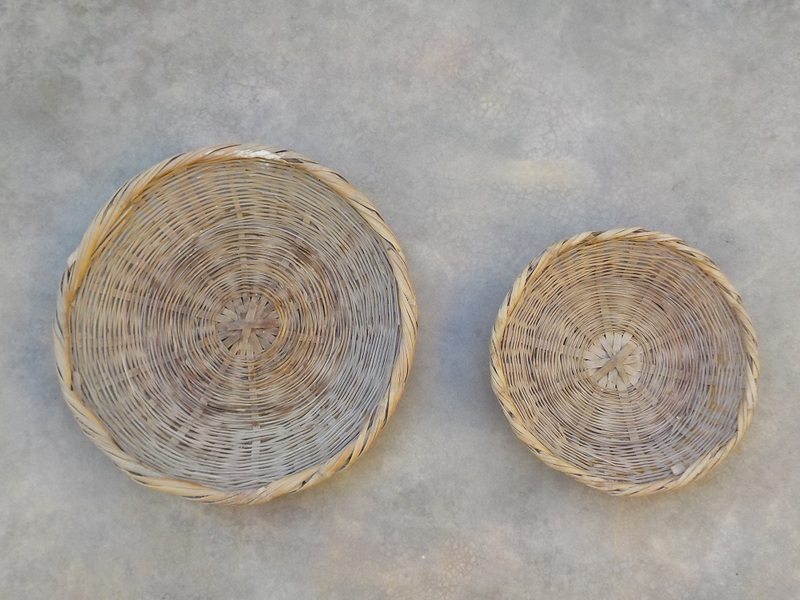 These are some of the fairly limited repertoire of traditional shapes. I found the limited number of shapes a bit disappointing until I thought a bit about this portrait. 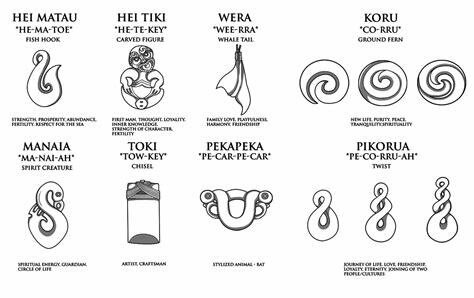 The Maori didn’t carve jade to be decorative, they carved it to make symbols of power and personal rank. It was important for a carved piece of jade to be recognizable as a particular shape and carry its associated meaning. Creativity was only valuable within the constraints of a particular shape. A person wearing a hei-tiki wanted those who saw it to recognize it immediately. 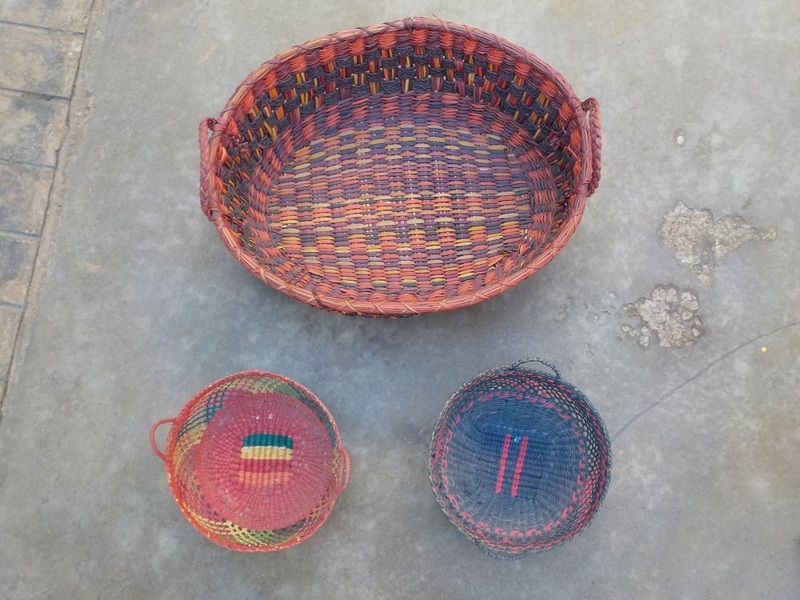 Today, traditional forms are what you see in most stores. I am skeptical of the “meaning” that is described in flowery language on sales materials. 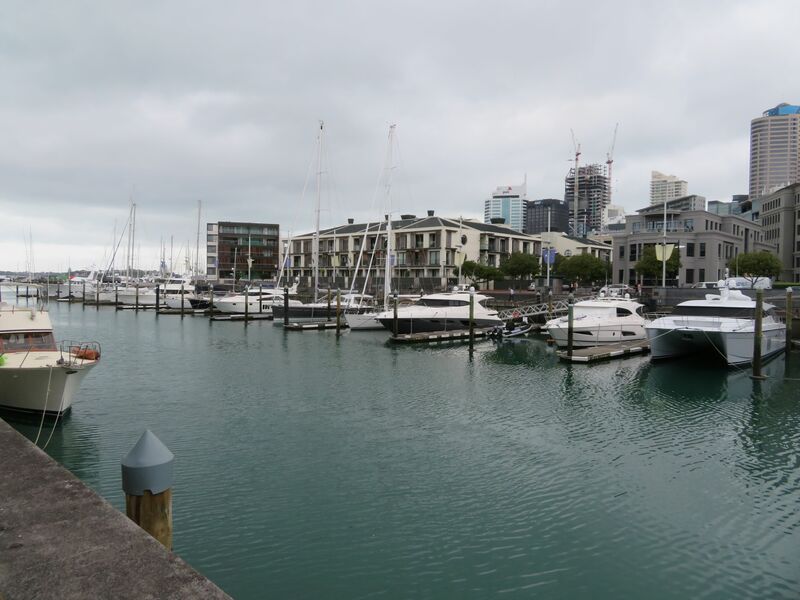 What we know is that these shapes have been passed down through generations, providing buyers a memento that gives a nod to Maori history and tradition. In the Canterbury museum in Christchurch there are numerous examples of all the traditional forms along with a lot of jade fighting clubs. Jade was definitely associated with power! Not everything is traditional. There are some contemporary carvings made from jade, and also bone, wood, and stone. Having given up on what jade is, we looked at where jade is found. New Zealand jade is found in several localities on the west coast of the South Island as pebbles and boulders that wash out of the mountains. Most jade collecting is reserved for authorized members of an ‘iwi’, a traditional Maori group. 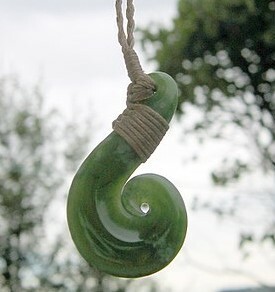 The jade is carved by Maori carvers, or sold to others to carve. 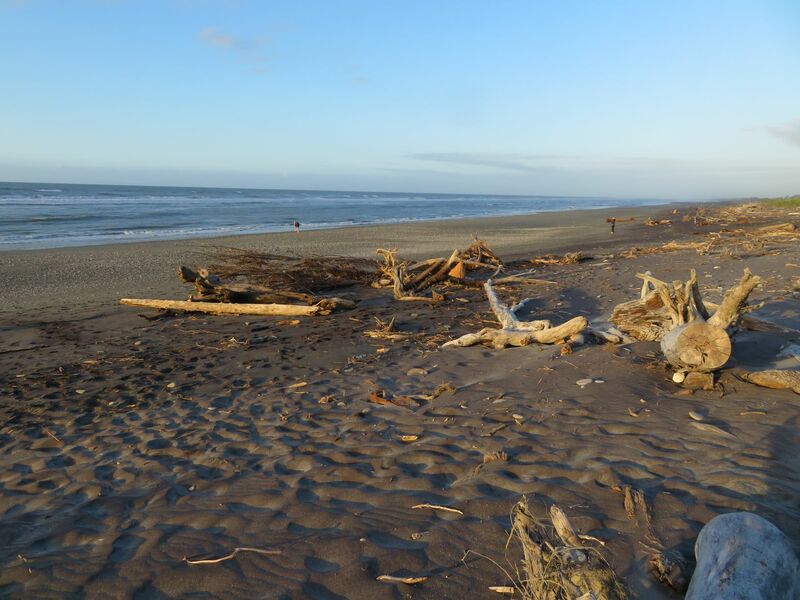 When we heard that it was possible for anyone to search for jade pebbles on the beach in Hokitika, on the west coast of the South Island, we knew we would visit and have a look for ourselves. When we got there, we used our combined archaeological surface collecting expertise and our diligent beach-combing efforts to search out jade pebbles. Jonathan found one, about the size of his thumbnail. This is definitely an activity in the “if it was easy there’d be a lot more people out here” category. 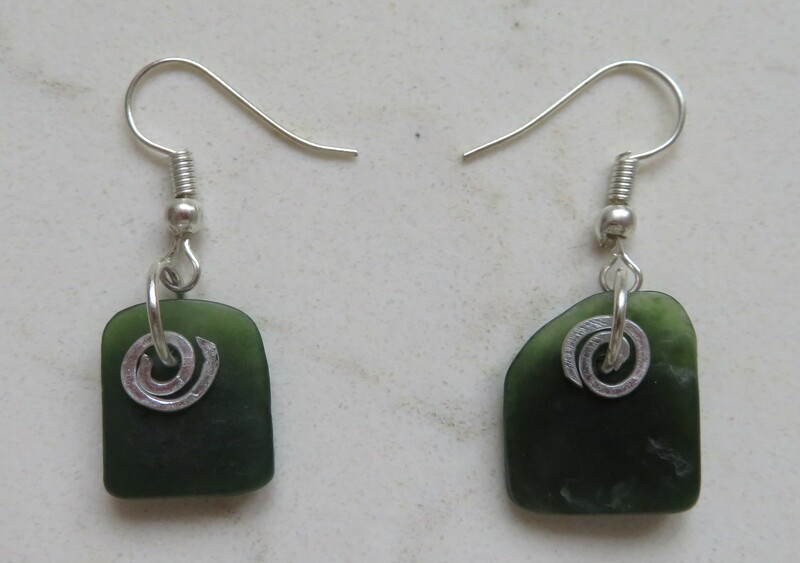 I decided against purchasing a carving and instead bought two tiny matte-finished slices of jade out of which I made earrings. I spent a lot less than I would have on anything comparable. It was fun and makes a good story. 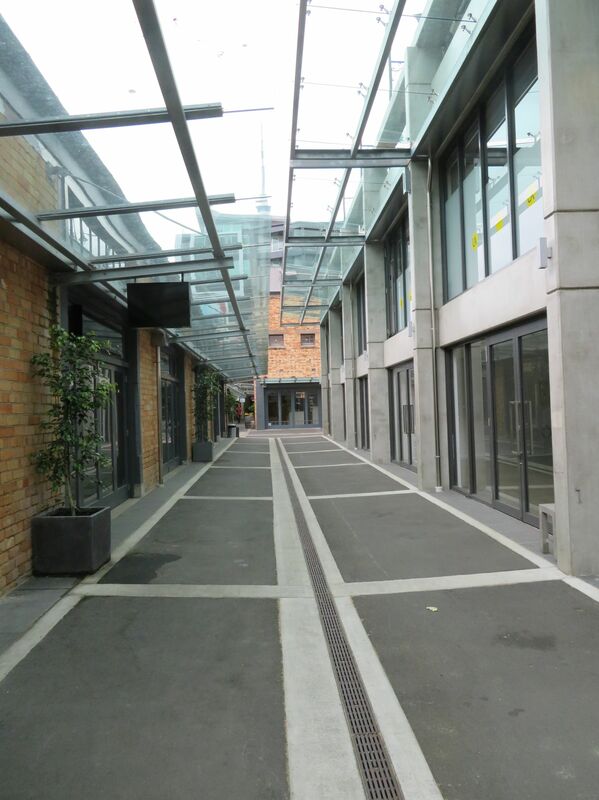 We concluded that the best way to purchase jade in New Zealand is to talk to people, especially those who work with jade, rather than buy items in a gift shop. Chatting with people at craft markets can lead to meeting someone who actually carved the jade themselves, or possibly someone who collected the jade personally. A small studio run by an individual or a family may make it possible to find out where the jade you are looking at comes from and who carved it. To me, the greatest enjoyment of an object comes from knowing something of its history. 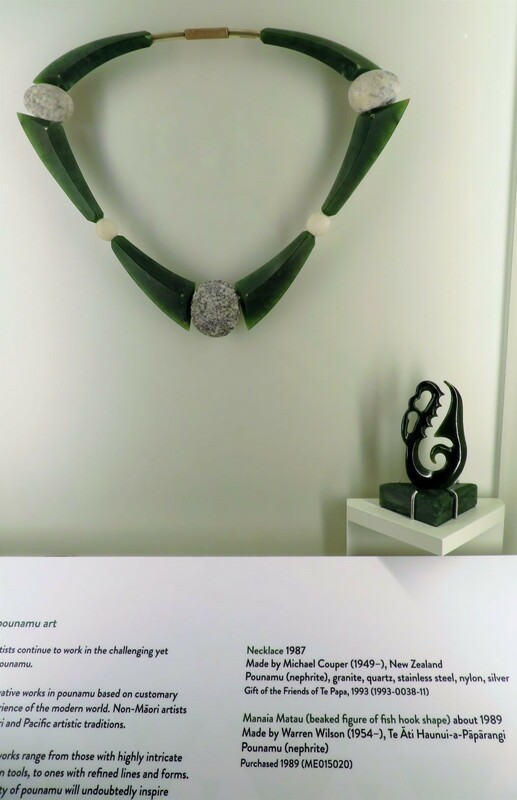 I met a woman selling jade pieces near the beach in Hokitika and she explained that her husband did most of the carving though she was learning and could produce simpler shapes. They purchase their jade from the Maori authorized to collect it, and she could describe the shapes and varieties of stone. I enjoyed our discussion more than any of my visits to the shops in town. When you find out that jade can be almost anything, you depend upon the honesty of the seller to find what you want. That proves problematic, as a lot of jade is treated to improve the color or to make the piece smooth. These “enhancements” include anything from simply rubbing the piece with wax (the finish on most pieces), to dying, impregnation with resin, or placing stone on plastic backing. Sellers of jade do not mention any of these techniques of ‘enhancement’. How is a person to shop? The color question is amplified by adding the questions of where jade comes from and who carves it. The largest seller of jade carving in Hokitika is Mountain Jade, with at least two stores. Looking around the store we found that though some of the jade was local, most was not. 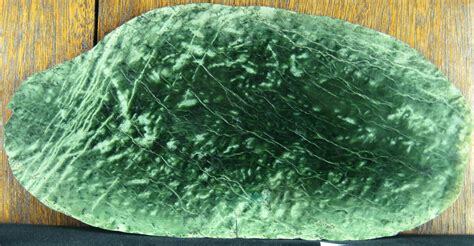 Some items were marked “New Zealand jade”, others “New Zealand greenstone”, others “carved in New Zealand”. 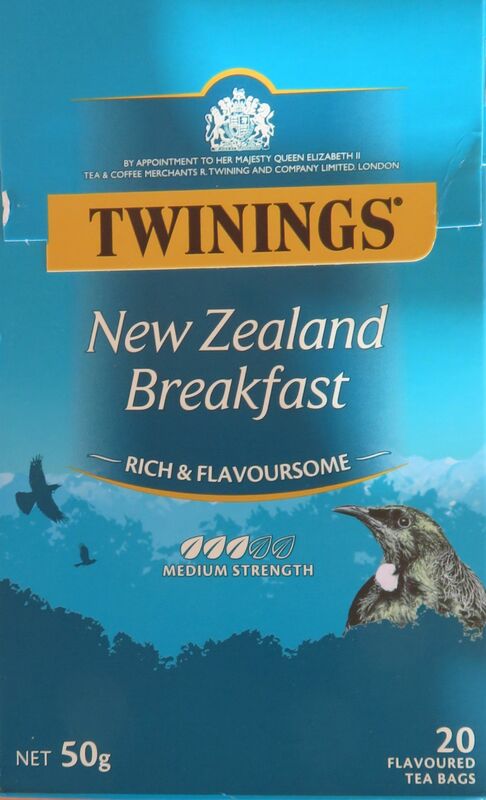 This means that carved items not marked “New Zealand” are likely to come from sources in China or Canada, especially as the owners of the business are from China and Canada, where British Columbia produces much of the world’s jade today. Objects not marked “carved in New Zealand” might well be carved in Indonesia or China. 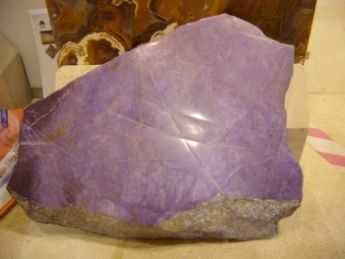 A “featured artist” bio in the store described a designer who purchases stone in New Zealand, ships it to Indonesia to be carved and then re-imports it to sell in New Zealand. We were disappointed by this, as we’d rather see work by local artists. Maybe that’s just us. Actually getting to Cuba is the first part of the tour’s adventure, as it turns out. We met our group the night before departure and they proved to be a congenial bunch. We had to be at the airport three hours ahead of time (boring), but we saw the array of goods that people take to Cuba. We later heard that every Cuban who visits the US may take two televisions back with them each year, and we saw clear evidence of this in the Miami airport….55 inch screens seemed to be popular. Despite our tour company suggesting we bring a 22 lb bag, we found the luggage limit for travel to Cuba is three 70 lb checked bags. People definitely were aware of this option. 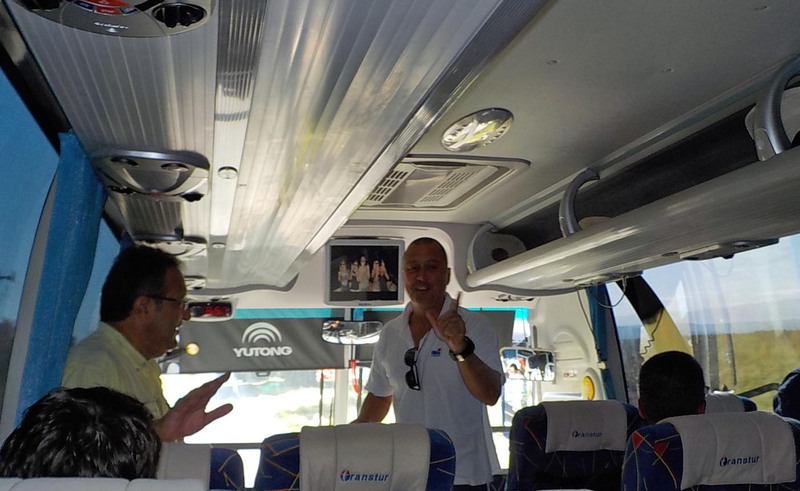 Marlon sings karaoke with “Bailando” on the bus. 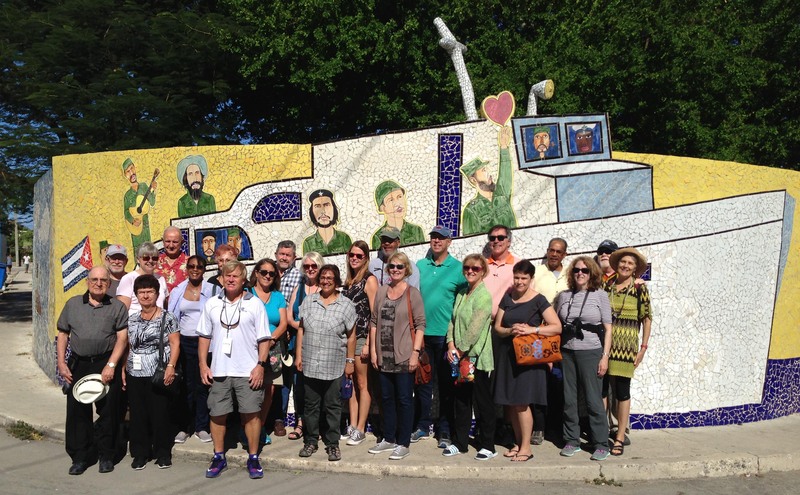 We traveled with Insight Cuba, on their Classic Cuba tour. Our logistics person was Alfredo from Costa Rica, and our local guide was Marlon. Our driver was Manuel. The team was excellent. The tour ran smoothly, there was daily communication about plans and any changes being made. They handled all issues and Marlon is full of Cuba content. As a former teacher, he knows what life is like in Cuba for most people, and he was diplomatic about issues of politics and race. 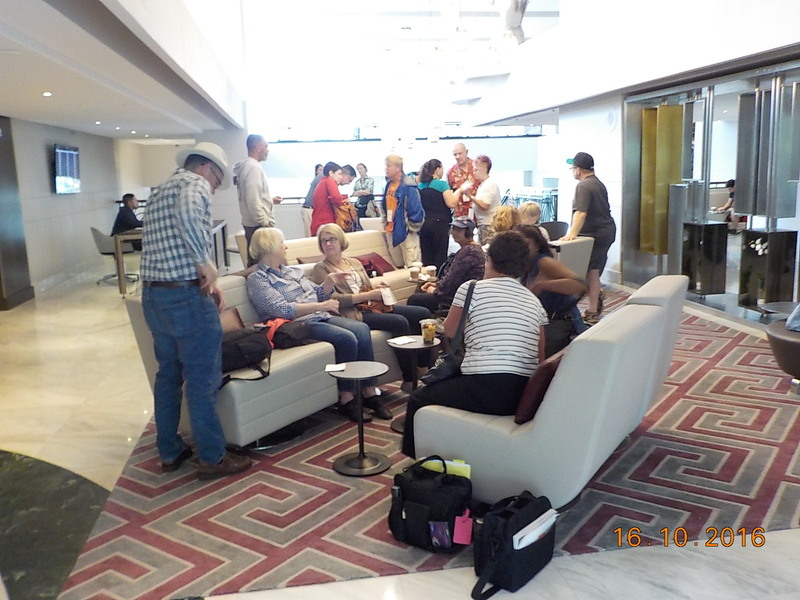 Though a lot of waiting was involved, we got to Cuba pretty painlessly and no one in our group was stopped or inspected with any particular scrutiny. 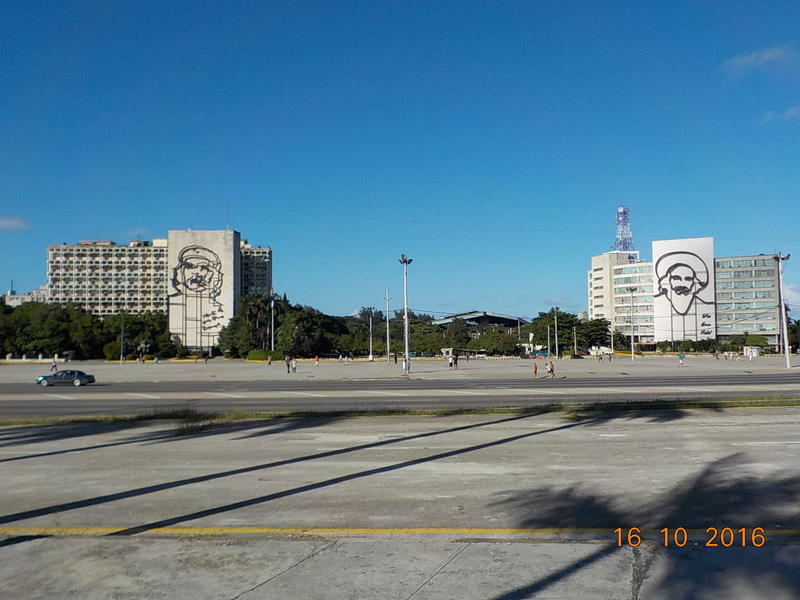 We visited Revolution Square in Havana on our way in, and I found it much bigger and less park-like than I expected. The iron faces of heroes were impressive. 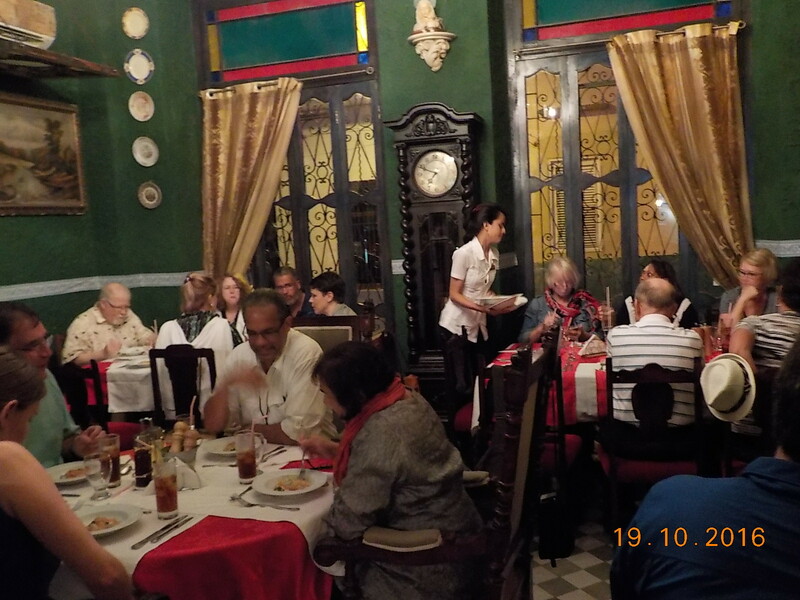 We had a welcome dinner at Los Naranjos, one of Cuba’s paladares, privately owned restaurants that began in homes, though many are now full-fledged restaurants with room for tens of diners. We heard a lecture on architecture, visited Old Havana and a center for elderly people who sang us a song and were charming to chat with for a few minutes. I managed a swim in the hotel pool at the end of the day before we left for dinner. The next day we went to the market, where we tried to purchase food for an entire meal with 1 CUC (US $1.13). It was possible, but not easy (no meat). We also visited a dance company, a museum of the great Literacy campaign of the early 1960s in Cuba, and an animation studio. Here are my new animated friends. Our restaurant surroundings were lovely for lunch and dinner every day, but the lack of ripe tomatoes, fresh fruit and vegetables and the same entrée choices started to become apparent by the third day. 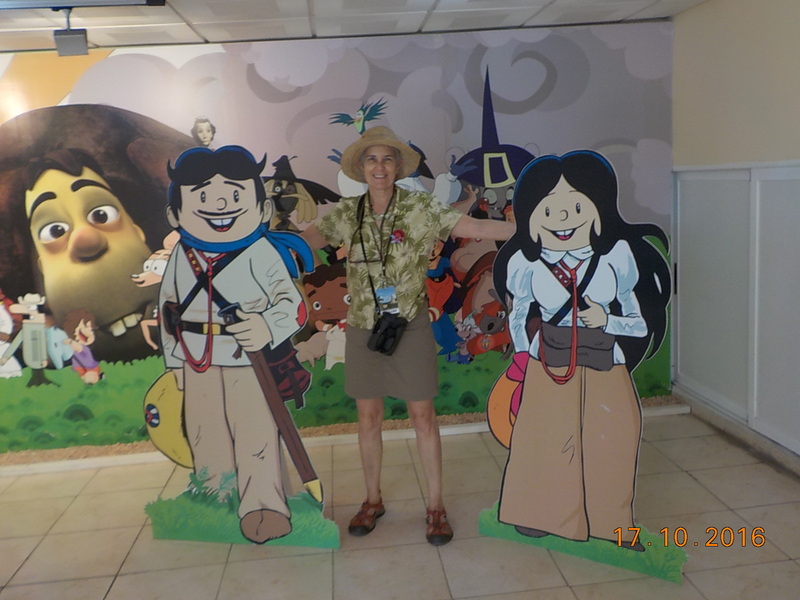 The next day was a visit to the huge Cristobal Colon cemetery (Jose Marti is not buried there), followed by a medical clinic, and after lunch the studio of a well-known ceramic artist, Beatriz Santacana. We got on the road the next day for Cienfuegos, and stopped at the beach for lunch and an excellent talk about the national park adjacent to the Bay of Pigs. 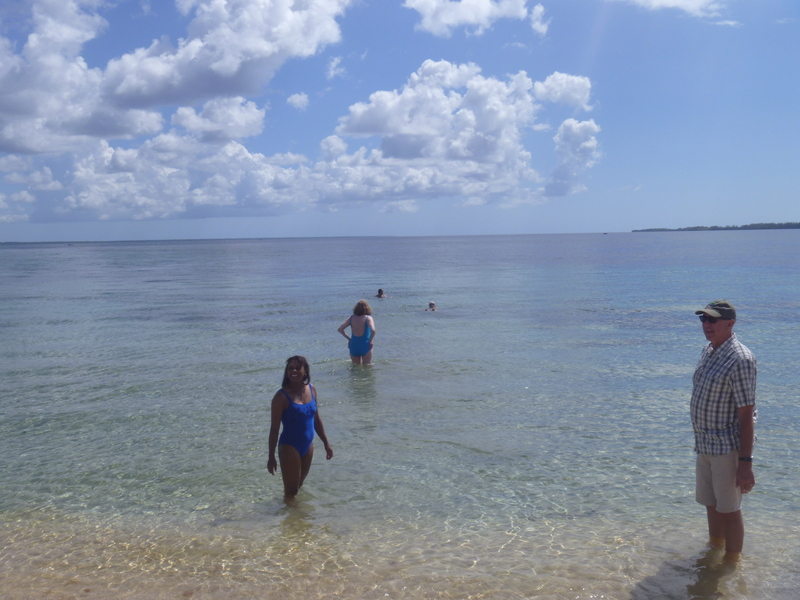 Our only swim in the Caribbean was here and it was wonderful. This fish is a pentyptych ? (five panels) painted bas relief. I was ready to sit under an umbrella all afternoon, but it was not to be. We were due to stop at the museum that tells the Cuban story of the Bay of Pigs and move on to our stay at “casas particulares” private home B&Bs in Cienfuegos. Jonathan and I had a room that was pretty basic, but the air conditioning worked. The public areas of the house were very pretty and airy, though we had little time to sit with our feet up. The next day we visited Trinidad, a town preserved by a big economic slump during most of the 20th century. There we walked on the old cobblestone streets, visited the architecture museum, met with a priest of Santeria, and saw the studio of a very creative woodcarver, who began using old cabinet doors as the material for his bas-relief portraits when artists materials were scarce during the 1990s and beyond. I think everyone slept on the bus back to Cienfuegos. The next morning we were back on the bus, first visiting a printer’s studio that specializes in wood block and linoleum prints. I did buy an eight-color lino print that I like a lot. Later I found out that most of the people who work there are not paid but live off their government ration cards and what they make from selling prints. We next heard the Cienfuegos Municipal Orchestra play and they were wonderful, full of energy, as well as very good. There are eight musicians and all teach in the local art school as well as performing concerts twice each month. 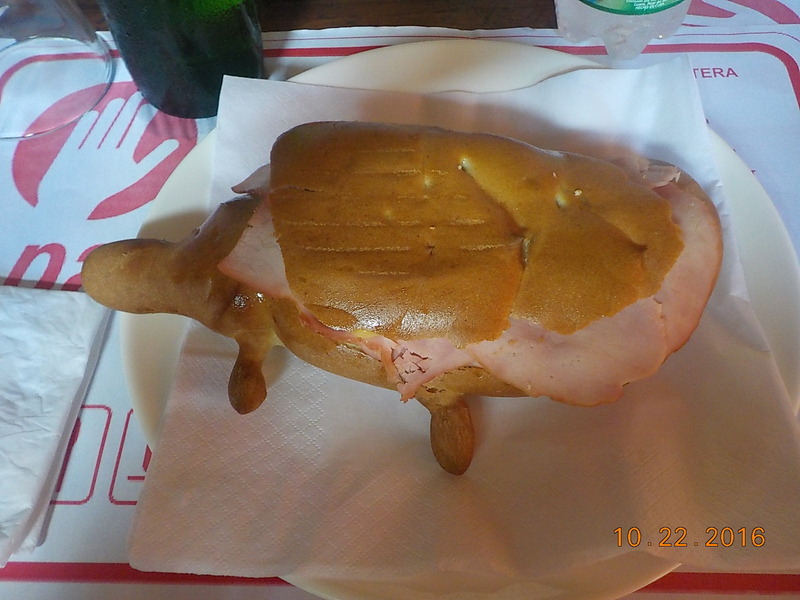 From the orchestra we headed back to Havana, stopping only for sandwiches on bread shaped like a Cuban crocodile. 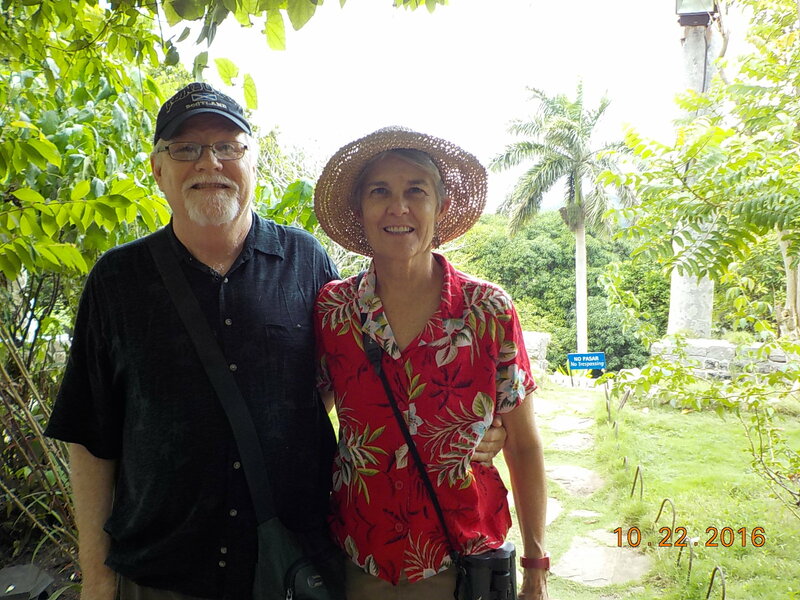 Before arriving at the hotel, we stopped at Hemingway’s house outside Havana. The man knew how to live. The house is comfortable and airy, with a big pool and beautiful gardens surrounding it. Decor is heavy on dead animals, but we knew he was a big-game hunter. The cape buffalo head is pretty massive and would be a bit strange presiding over a cocktail party. This was our final full day in Cuba, so we celebrated by going to the famous Tropicana nightclub show. Dinner began at 8:30pm and the show started at 10. The dinner was utterly uninspired, but by purchasing it on top of our admission fee we qualified for good seats by the stage. We rode home with our heads full of the colorful frenetic dancing. But that wasn’t the end. 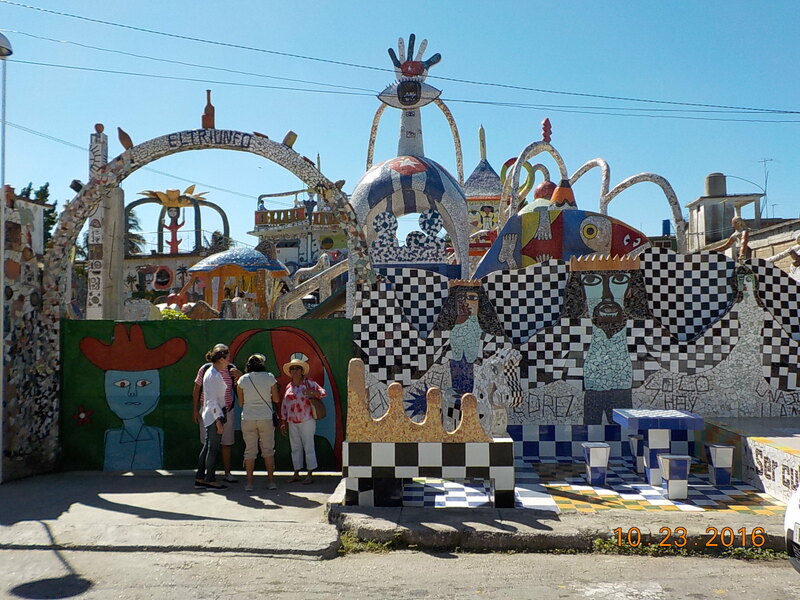 The next morning we made one last stop at the fanciful compound of artist Carlos Fuster, who has developed a project to cover his home and neighborhood with mosaics. It looks a bit like Gaudi’s mosaics in Parque Guell in Barcelona, doesn’t it? The Black Isle gets its name from the dark form of the island in winter. When viewed from afar, Inverness, for example, it looks black. Surrounded by water, snow doesn’t stick (they don’t get very much). Cromarty is a small town at the tip of the Black Isle. It has varied and interesting architectural details, and some nice shops including the only Dutch cheese shop in Scotland (don’t ask me why). The thatched roof building is the birthplace of Hugh Miller (1801-1856), and the Carnegie library is dedicated to Miller as well. Hugh Miller was a proponent of the study of geology in the early 1800s. In this era before Darwin, this was a very new endeavor. An interesting building in Cromarty, and the tile entrance to an antique store that had a great variety of things. 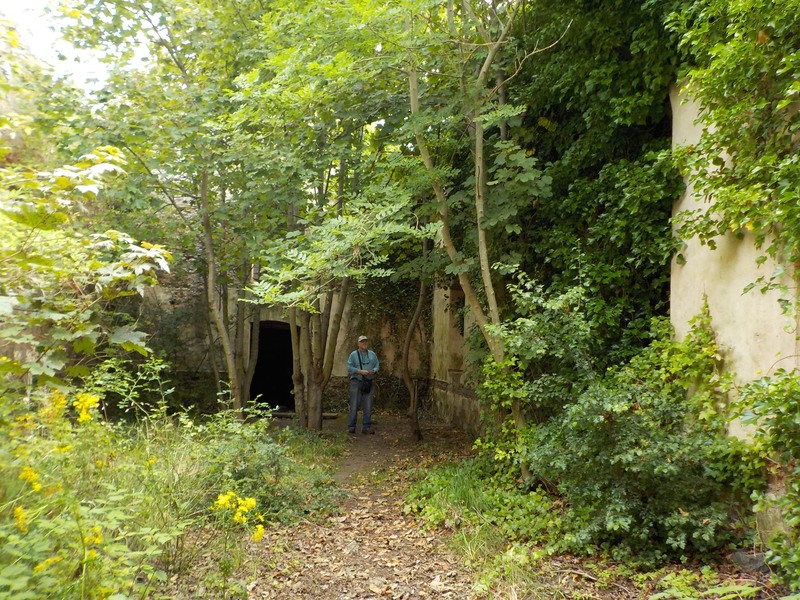 There’s always a ruin to be visited, so we walked up a path from town to the Gaelic Chapel, the ruins adjacent to the village churchyard. You can barely see the chapel walls in this photo and we are on the inside of the structure. We spent a very nice day in Cromarty, and even stopped to watch birds in Cromarty Firth on the way home. Lyra and I wanted to look at ceramics and found a recommendation to visit the El Noqbi neighborhood on the northeast side of the medina. 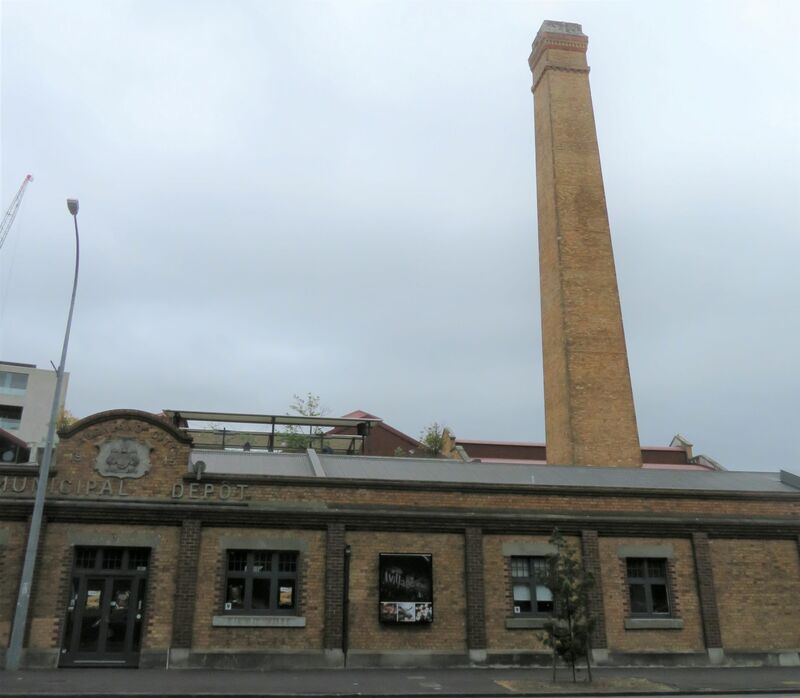 Art Naji is probably the best known spot, partly because it is so visible on googlemaps. There are many workshops that sell pottery on the streets that radiate out from the bus stop and from Art Naji. The workshop allows photos. We looked at thousands of pieces from tiny to huge. We selected two small bowls and went to the counter where we found that they offer only fixed prices. (For the reason we left, see my “Good to Know about Morocco” post, coming soon. As soon as we left Art Naji, we were approached by a neighboring merchant who showed us his smaller, somewhat less organized studio. We found two bowls that we liked and paid a price we thought reasonable. 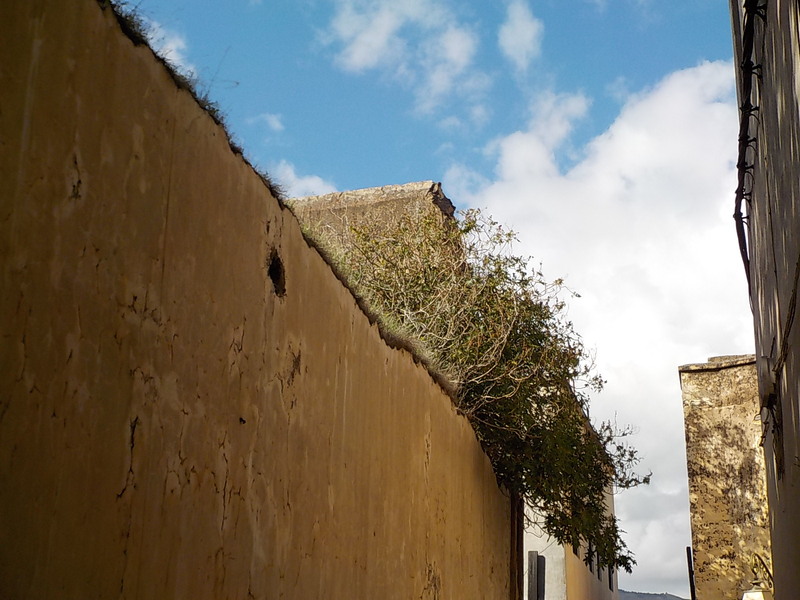 We planned for a long time to stay a month in the Fez medina. Now we are here in a riad of our own. 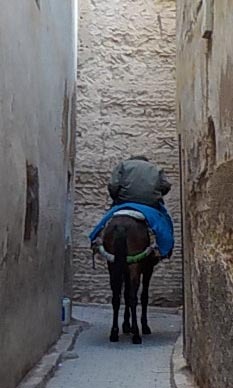 There are lots of surprises in the medina. No cars are allowed in most of the area, but donkeys and horses clop back and forth. The animals give you time to get out of the way, but the motorcycles are a menace. We’ll start with a neighborhood landmark, Bab Rcif. 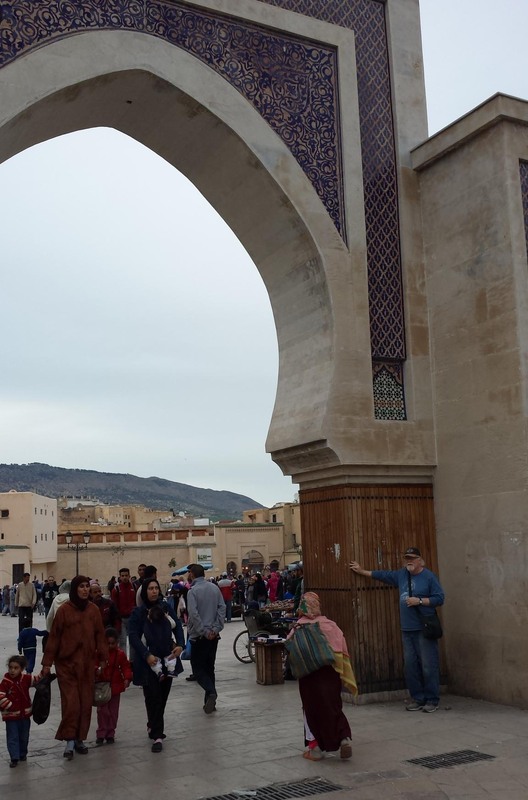 There are 15 of these large gates around the city of Fez. Fortunately, each seems to be a landmark for taxi drivers, so we can now get home from anywhere by saying “Bab Rcif”! 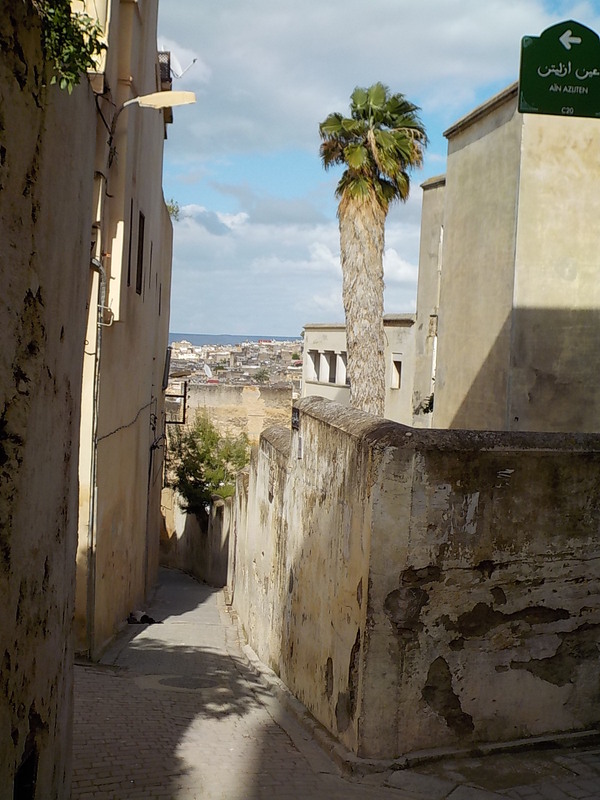 This is the bottom of the hill we walk up to get to our riad. 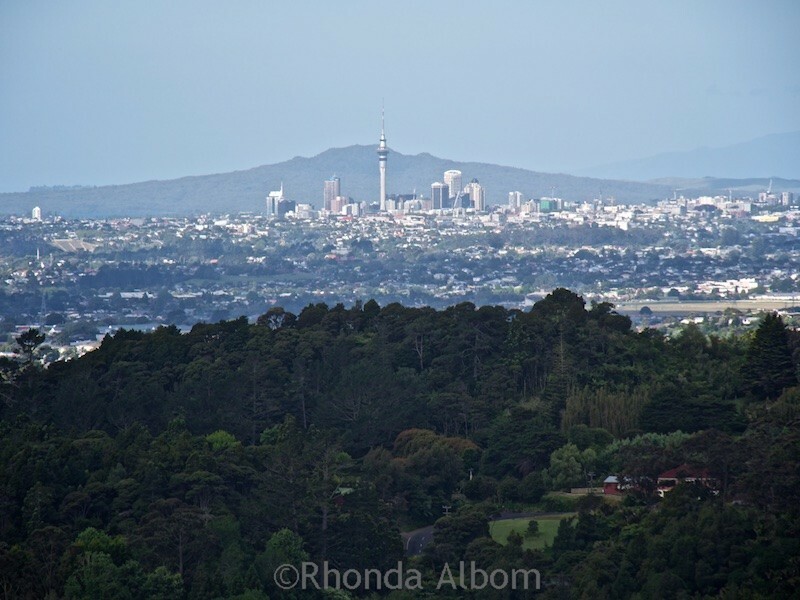 Here’s the view from the upper end of our neighborhood. There are a lot of different kinds of buildings, new and old. The walk takes us past homes, workshops, and other riads. Jonathan confers with the spice seller. 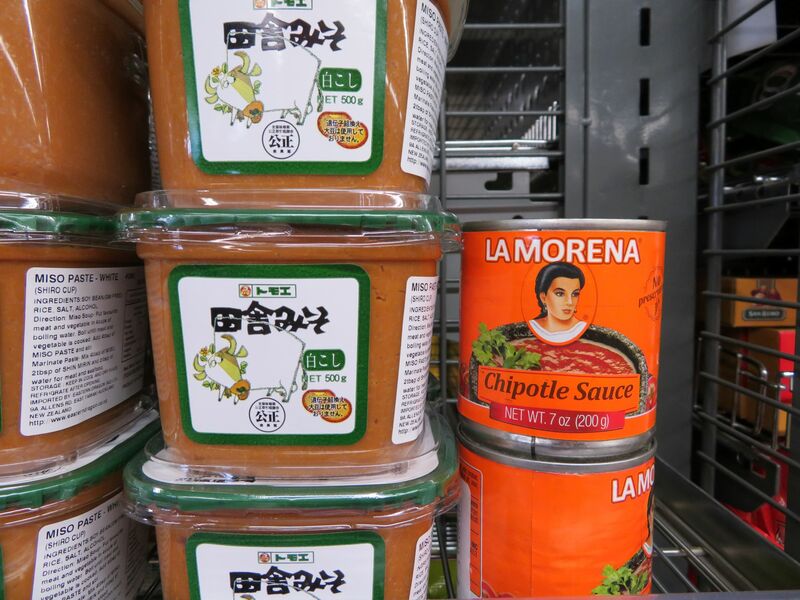 There are fragrant heaps of spices in the market, but for freshness and purity, closed jars are preferable. Our guide brought us here and we bought all we need for our stay. 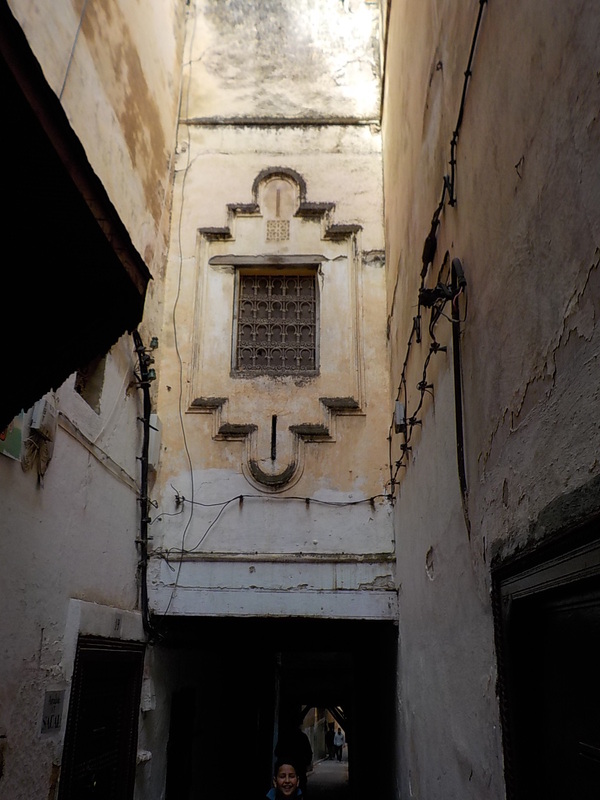 We took in the mosque (no photos) and the Attarine Mederesa, formerly a school with 150 rooms for boarding students who came from far beyond Fez. We also visited the Sidi Moussa tanneries. 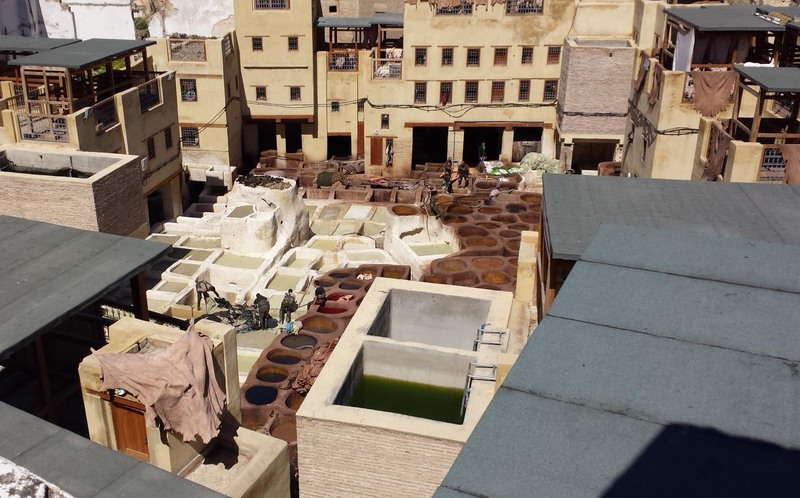 The traditional tanneries of Fes are a big attraction, despite the smell they generate during hot weather and the colorful and possibly poisonous runoff. 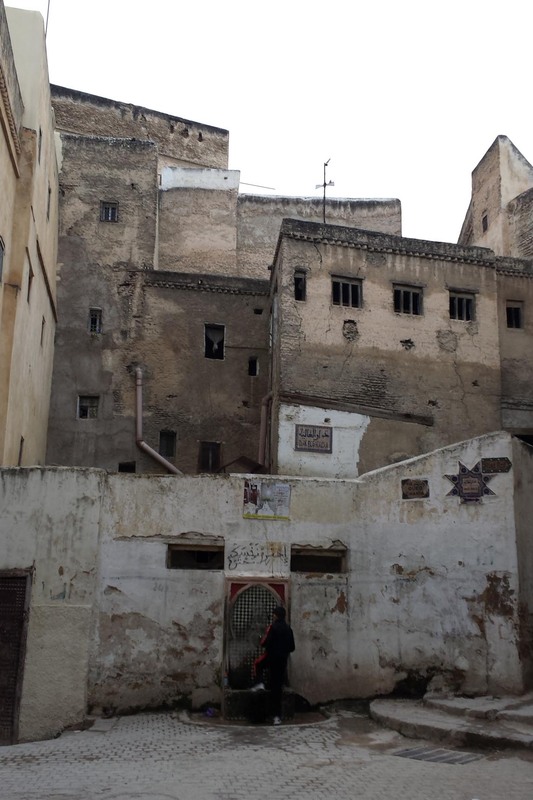 After some debate about whether to move the tanneries out of town, Fes seems determined to keep this tourist attraction and the Sidi Moussa tanneries have recently been renovated. 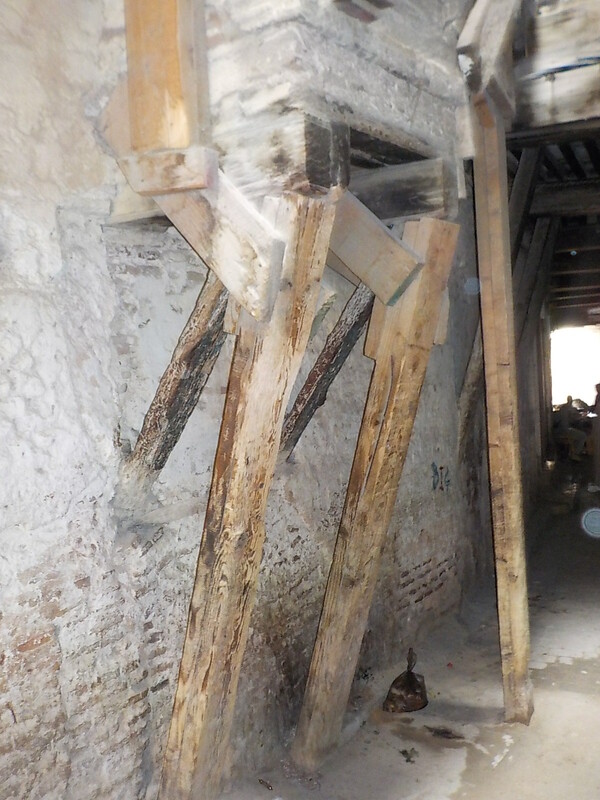 Now the larger, better known Chaouwarra tanneries are under renovation and only the Sidi Moussa tannery is active. The benefit of a tour guide was finding this out before the hike to the closed tannery. It did not smell very much during our visit, but the weather is cool, it’s spring, not summer. We were given a sprig of mint to sniff, and that was pleasant, if not strictly necessary. The white vats are the smelliest, where a mix of limestone and pigeon poop softens the skins and removes the hair. The dye vats are the brown ones. Huge cylindrical machines wash hides between phases. The finest skins take a month to be processed and dyed. The balconies overlooking the tannery all belong to merchants selling leather products. A young salesman said they could complete a custom leather jacket in three hours. It was a lot to take in. What you don’t see here is our efforts to buy cups of coffee, fruits, vegetables and meat, water, salt. Even more difficult is to ask directions. Or to not ask directions, because sometimes people want to help you when you don’t want help. “I am not lost, thank you. I am taking a walk. 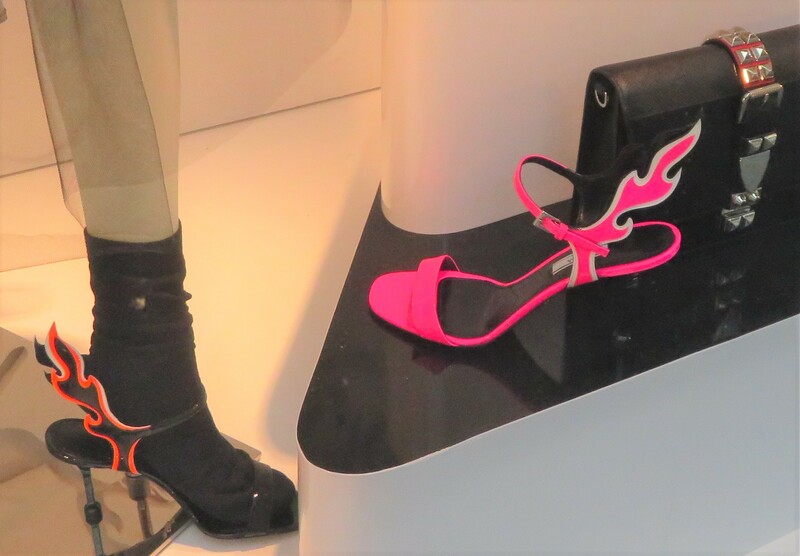 Yes, walking. No, thank you.” Etc. People mean well, but it’s not very relaxing.